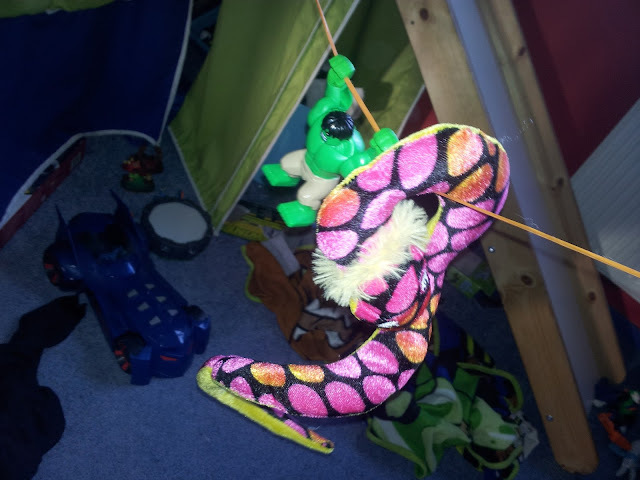 I often find Jamster's toys in random places and seeing then swinging from string was no surprise! What are Hulk and this giant snake up to with Skylanders and Batman below? 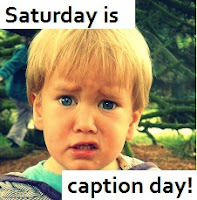 Do you have a funny or witty comment for this picture of? You can link up your own picture or view more over with the lovely Mammasaurus. They'll never see us up here! Skylanders and Batman vs the Hulk and a fluffy snake.........know who my money is on! Is it a bird? Is it a plane...no its snake and Hulk! Stop having a hisssssssy fit - you won't like me when I'm angry! We're getting a little bored of hanging around now! It's difficult to be inconspicious with you following me.